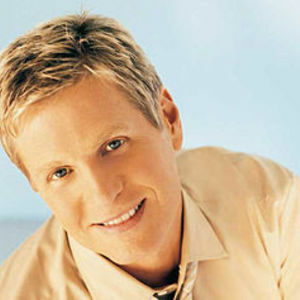 Steve Green (b. August 1, 1956 in Portland, Oregon) is a Contemporary Christian music singer notable for his vocal range (tenor 3) and flexible solo style. Over his twenty year career, Green has been honored as a four-time Grammy Award nominee, six-time Dove Award winner, has had 13 No. 1 songs, and has sold over three million albums. Career Green was born in Portland, Oregon to missionary parents, Charles and Jo Green. He is one of six siblings who spent much of his early life in Argentina. He studied Music at Grand Canyon University, graduating in 1976. Green was born in Portland, Oregon to missionary parents, Charles and Jo Green. He is one of six siblings who spent much of his early life in Argentina. He studied Music at Grand Canyon University, graduating in 1976. He originally broke into Christian music with the Mobile, Alabama based youth worship group Truth. He also sang backup vocals and played bass with Sandi Patti, White Heart and the Gaither Vocal Band. In 1982, he joined the Christian rock band White Heart as a vocalist. But a difference in ministry vision accompanied by a confrontation with his brother, Randy, led to a spiritual renewal in Steve's life in 1983. He signed a solo contract with Sparrow Records, and his self-titled debut album appeared in 1984. In the same year, he established Steve Green Ministries. His break out year came in 1985 with the release of He Holds The Keys. The album garnered Green a nomination and win as Male Vocalist of the Year in the Contemporary Christian Music (CCM) category. The following year, 1986, saw the release of two recordings, "For God And God Alone," and a high church style worship album entitled "A Mighty Fortress." The following year saw the release of his first Christmas recording, "Joy To The World." In early 1988, he released an album dedicated to his parents called "Find Us Faithful." As the 1980s came to an end, many of Green's songs became recognized standards including "People Need The Lord" and "Broken And Spilled Out." He was often considered the male version of Sandi Patti, using many of the same songwriters and styles as well as the traditional ending the song on a (literal) high note. Green also contributed background vocals to Patti's 1986 hit, "Let There Be Praise." Green was one of the first artists to be involved with Promise Keepers, performing at their inaugural event at Folsom Field in Boulder, Colorado in July 1993 before 50,000 men. His song "Answer The Call" was inspired by the event and another song, "O Men of God Arise," embodies the Promise Keeper mentality. Green recorded "The Mission" in 1989 and continued his success with "We Believe" in 1991. As the early 1990s direction of Christian music changed to a more rock oriented format, Green returned to traditional roots by releasing an album of hymns in 1992. Yet Green switched styles in 1994 on his "Where Mercy Begins" album. He also received the first of two career boosts due to outside events. On September 9, 1994, a US Air jet crashed in Pittsburgh, Pennsylvania, killing all aboard. One passenger was an up and coming Christian singer named Kirk Lynn. Lynn has just recorded Green's song "As We Sail To Heaven's Shore" from the 1988 "Find Us Faithful" album. Only a rough cut played at the memorial service for the passengers, grieving family members were told where to find the original song by Green, which boosted album sales for the older recording. Green's style change continued on his 1996 recording, "The Letter." He was also instrumental in attempting to set up an accountability group for Christian artists following the adultery scandals of Michael English, Marabeth Jordan, and Sandi Patty as well as the Mike Warnke debacle. He was helped in this endeavor by Steve Camp, Wes King, and Michael W. Smith. That year also saw the release of his second Christmas album, "The First Noel." Green changed focus again in 1998 by declaring he would only record songs that honor the Lord - songs that he could be satisfied with should it be his last recording. That year saw the release of "The Faithful" and 2000 saw the release of a devotional song album entitled "Morning Light." Two years later Green released "Woven In Time" and again found himself receiving a career boost. Green was a personal friend of Space Shuttle Columbia commander Rick Husband, who was killed along with six others in the February 2003 disintegration during reentry. Green was interviewed by CNN and his song "God Of Wonders" got a boost from the unexpected publicity. He released another album in 2005. Green's sister is married to Dr. Mark Bailey, president of the evangelical Dallas Theological Seminary, and he helped the seminary celebrate its eightieth anniversary in April 2004. He has also written a thirty day devotional titled, "The Power of the Cross" and has recorded numerous children's videos and songs. His bilingual abilities have seen the release of two Spanish CDs in the United States. He is married to Marijean Green, who has testified to her own struggle with bulimia and they have two children, Summer (b. 1984) and Josiah (b. 1986). Green has expanded his musical ministry to include videos and James Dobson's Focus on the Family.